Everyone thinks that the first students to attend a new high school are very lucky. And in many ways, they are. But in some ways, they aren’t. Take, for example, my son’s new marching band. Last year, during his freshman band experience at an established high school, he suffered through a grueling band camp and long rehearsals. In return, his band traveled all over the state, and sometimes even out-of-state, for competitions. This year, there are no seniors at his brand new high school, so the band is already much smaller. And the new school wasn’t even available for rehearsals, so the band had to use the middle school. Band camp was shortened as a result of all faculty being required to take courses about the technology at the brand new school, Worst of all, the band doesn’t have a budget for traveling to competitions. Raising that money is the responsibility of the boosters, which didn’t even exist until a couple of months ago. The band does have brand new uniforms, and it does get to play home games on an amazing new football field. In fact, this weekend’s band competition, sponsored by another high school, was moved to their field after several days of rain. The small band did its job, and the parents were some of the loudest fans in the stands. The band won its division. 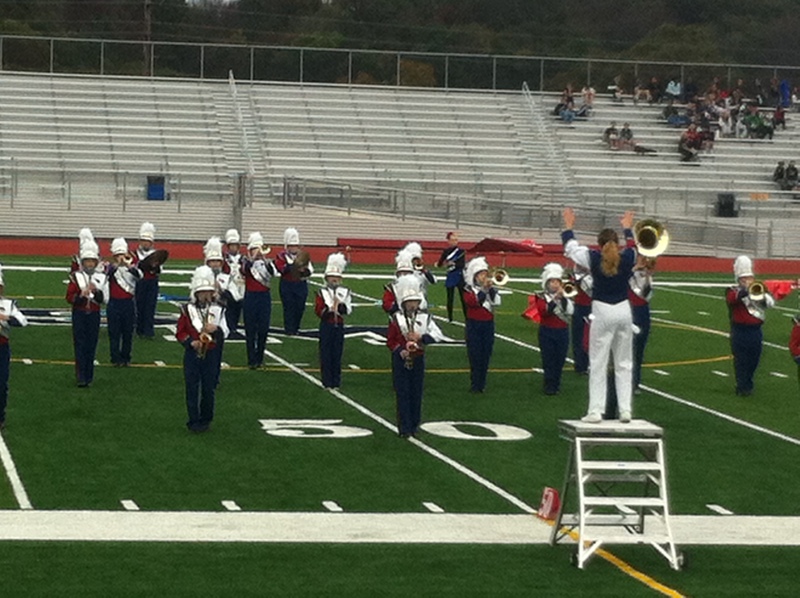 As my son noted, his band is the only one in the division, but at least it got first place. Looking on the bright side always makes me smile. Posted on October 14, 2013, in Family, My life, perspective and tagged 365 reasons to smile, being positive, challenges, Education, high school, life, music, musings, optimism, perspective, smiles. Bookmark the permalink. 89 Comments.